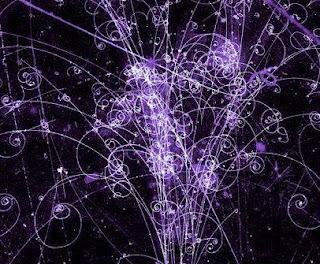 The Secret Sun: CERN Opened the Door: What Came Through? 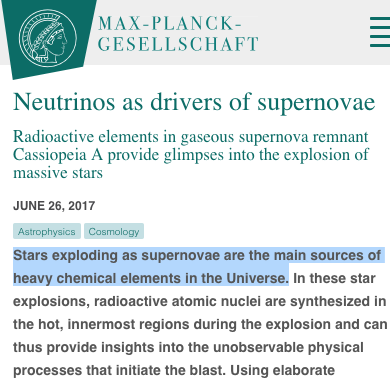 I get that some folks might find talk about supernovas and subatomic particles a bit too abstract, a bit too theoretical. It's anything but. What we're looking at and what we're trying to unpack is the work certain scientists with unlimited budgets and technology are undertaking in a quest to rip dimensional doors off their hinges and gain access to other universes. And let other universes gain access to us. 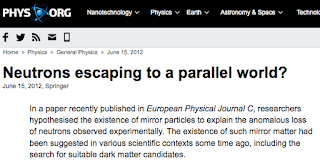 This isn't tinfoil hat paranoia or speculation, this is mainstream science news here. And what I am seriously beginning to wonder is if all this reality-hacking is what's ultimately behind all the Synchromystic, Sibyltastic insanity I've been wasting so much of my life on. I mean, I've always known I was dealing with some force outside our known world, I just haven't figured exactly where outside it's coming from. Although I may not know the original point of departure, I'm getting a strong feeling I know where exactly that force arrived. Particle physics-- which is about dicking around with the most basic building-blocks of reality as we know it-- is the purpose for the largest and most expensive science project the world has ever seen: the Large Hadron Collider at CERN in Switzerland. A single particle-- like a neutrino, for instance-- isn't just something invisible and meaningless to them. It could be the jackhammer that tears down the wall they've been kicking at once and for all. 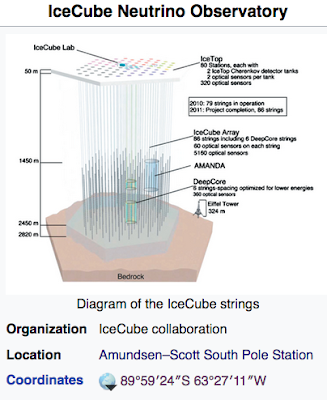 This whole Ice Cube Blazar Neutrino (said to emerge from Orion) is getting so much attention not just because it's a symptom of forces so unimaginably powerful that they make everything they've done pale into utter insignificance. It's getting so much attention because if they could get their hands on one --or more-- of them, they could finally figure out how to Thanos-snap everything in our universe away and rebuild a new one in their image. On paper at least. 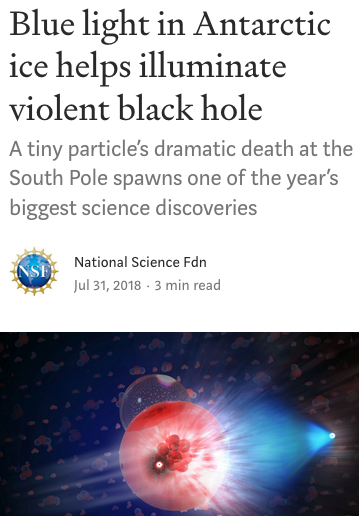 So, this is exactly why x-millions of dollars are spent trying to detect these particles flying in from the far reaches of space. And of course, one of them is that corner of the world so familiar to Secret Sun readers. And because my brains are broken, I ended finding yet another micro-synchrostorm over this in the last place a sane person would look. Which means in the first place I would look, and should have looked before. "Ice Cube" didn't get me thinking of a refreshing beverage or a 90s rapper like it would a normal person, it got me thinking of "Ice-Pulse," on the Blackbeard EP. Why? A., because I'm an OCD casualty and B., because "pulse" got me thinking about pulsars, which got me thinking about quasars and blazars. I really should be under supervision. 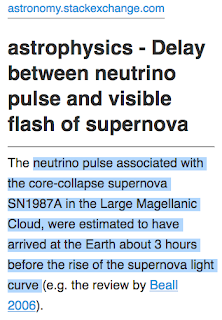 But as it happens, neutrinos are ejected from things like supernova in pulses. I believe neutrinos may be some kind of electron pulse, but seeing as how I'm scientifically-illiterate, I can't confirm that. Anyone who wants to tag me out, now's a good time. 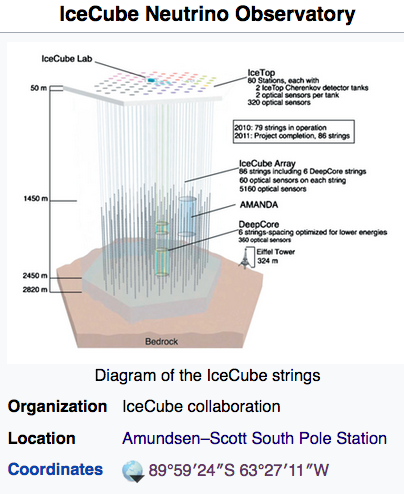 Further, the Ice Cube Neutrino Observatory observes neutrinos by detecting pulses of light in the Antarctic snow and ice. So "ice" and "pulse" don't seem so crazy after all. Because CERN broke Reality. Did I mention that "Ice-Pulse" was on the Blue-beard EP? 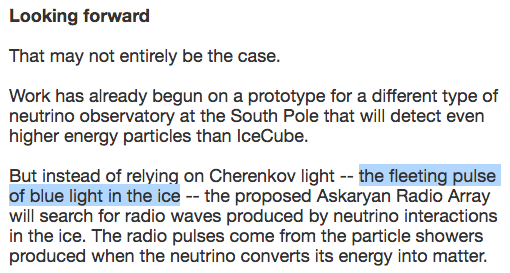 Well, it so happens that the ice-pulse neutrinos make are blue. 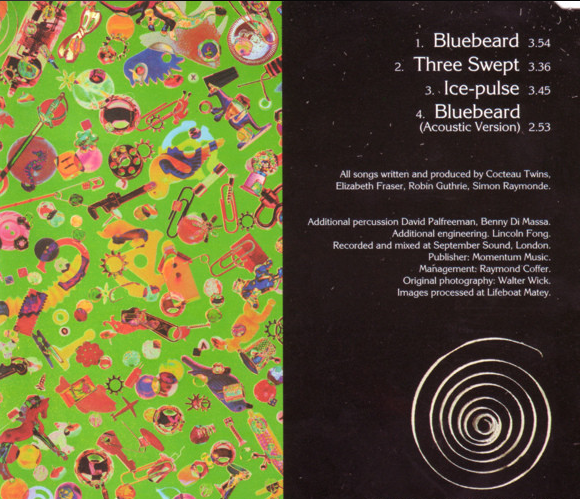 You could call it a blue-beard, if you like. I'll recommend so to the boys in the Upside Down. (And Bluebeard was a pretty violent character, so you do the math). In a clip that's so early 90s it makes your eyes water (in both good and bad ways), the Sibyl--then in the midst of an extended mental, emotional and psychic breakdown-- dances in front of a rotating walls of circular spirals. ...they correspond to the spirals created by charged particles inside colliders. 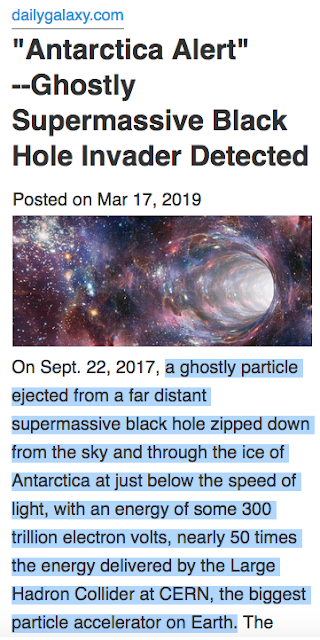 Then we see Our Lady dancing manically against thousands of stars speeding through space, reminding one quite a bit of charged particles emerging from a supernova or some other kind of cosmic catastrophe and speeding through the void and headed for us. What any of this has to do with a song the Sibyl wrote about her partner's epic cocaine and heroin addiction is beyond me personally. Then again, I'm still wracking my brains over the premise of the Millennium Dome Show. And then there's the mermaid arisen from the clamshell bit, which now looks more to me like a Nommo arisen from its stasis chambers. Probably to you now, too. Plus, there're the "receiving transmission" eyes. Listen, I just report the syncs. I don't create them. 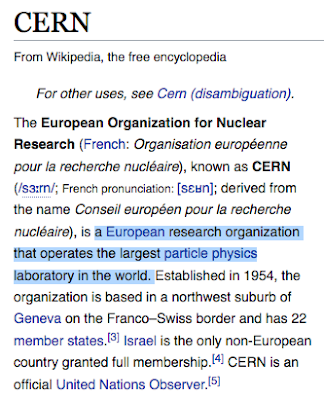 Unless, of course, CERN broke Reality so much that I actually did, or do. (I'm presently leaning towards the latter TBH). NO. IT NEVER ENDS. STOP ASKING. 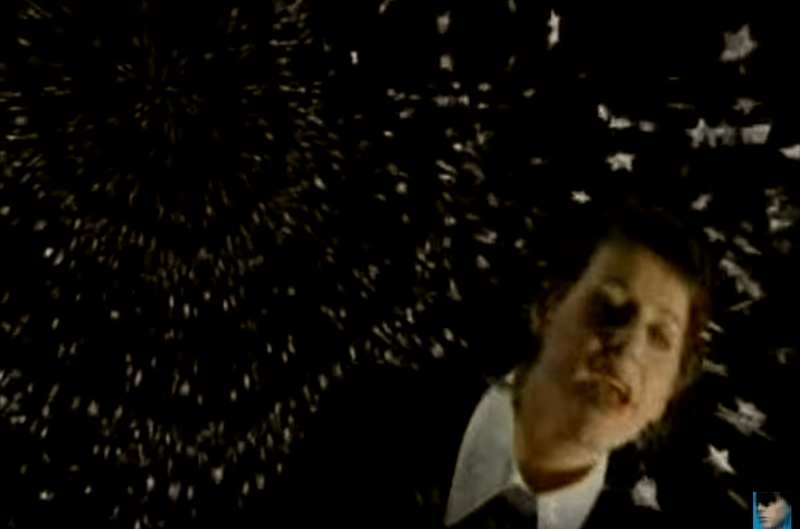 Former 4AD act His Name is Alive was asked to create music for the Large Hadron Collider by CERN's James Beacham. 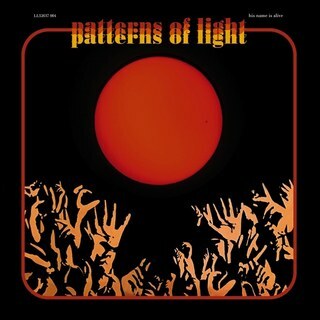 The resulting work was called Patterns of Light. "Having been invited to perform at the Large Hadron Collider at CERN in Switzerland by one of the scientists, HNIA spent a year studying particle physics and then created Patterns of Light. The scientist, Dr. James Beacham, was asked to “fact check for bad data, misquotes, dragons, pseudoscience and to make sure the witchcraft to physics ratio wouldn’t be too embarrassing,” he agreed and soon sent pages of notes, screenshots, event displayes and also recommended books and videos. Patterns of Light is the result of this exchange of information. The research focuses on dark matter, dark energy, the search for extra dimensions, mini-black holes and the machinery that collides particles at high speeds using thirteen teraelectronvolts but also studies the fundamental forces of nature as seen through the classic creation myths, the visionary theology of Hildegard Von Bingen, medieval manuscripts and cosmic maps, all in an effort to turn the physics back into poetry. 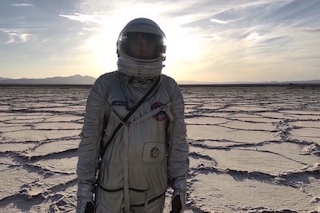 As a reader mentioned, the band Spiritualized was previously asked to perform at CERN for the launch of the LHC. Are you ever going to play the Integratron? We nearly played the CERN collider. They asked us to do it! We were gonna play in it before they’d thrown the switch. But it was a timing thing—their timings didn’t coincide with ours. So you never got to tear a hole in the fabric of space-time. Yeah, they were already doing something—there were too many tiny objects whizzing around in there! 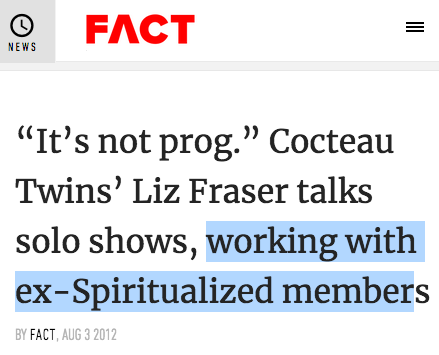 This of course, is Fake-Spiritualized. Jason Pierce fired the original lineup that played on Ladies and Gentlemen, We Are Floating in Space. 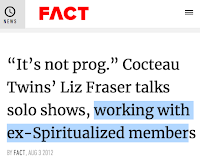 Take three guesses who the real Spiritualized ended up playing with during the London Olympics in 2012. I'll give you a hint. 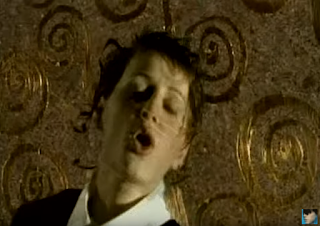 Bonus round: Guess who is married to Spiritualized's original drummer. 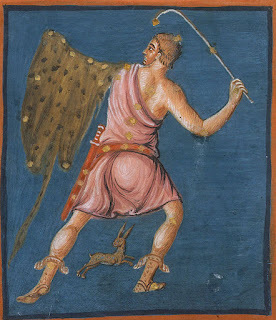 In my study of stellar symbolism in the Bible, I've come to believe that Elijah, AKA the Tishbite, was Orion. I don't know if Elijah was Orion before CERN broke reality, but that's what we got now. OK, the garment of hair is the animal hide Orion was traditionally pictured carrying, but came to be drawn as a shield (which actually makes less sense). The belt is Orion's Belt (duh). What about the Chariots of Fire?. 2 Kings 2: 7 Fifty men from the company of the prophets went and stood at a distance, facing the place where Elijah and Elisha had stopped at the Jordan. 8 Elijah took his cloak, rolled it up and struck the water with it. The water divided to the right and to the left, and the two of them crossed over on dry ground. 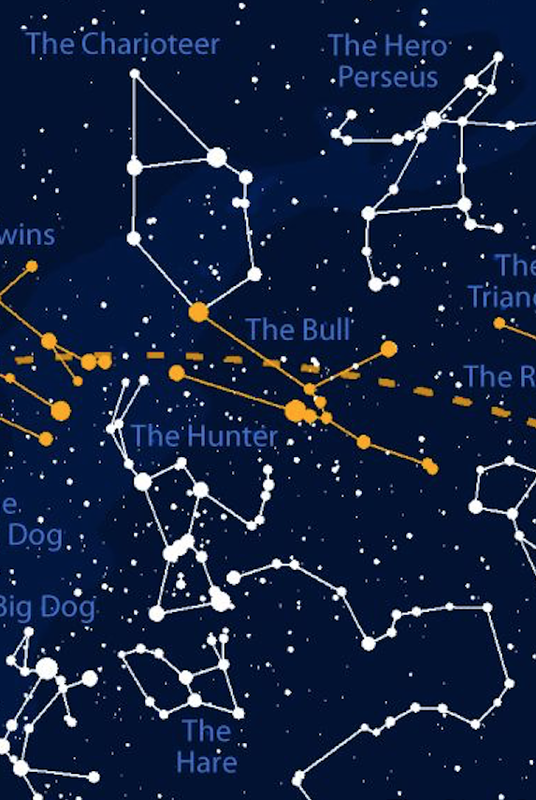 I believe the crossing of the Jordan represents the crossing of the Ecliptic by Orion (Elijah) and Elisha (Taurus), but the Jordan could also symbolize Eridanus (which we'll get to in the future). 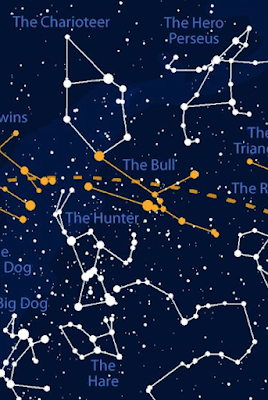 The Chariots taking Elijah up to Heaven are obviously Auriga AKA the Charioteer, which takes Elijah-Orion to Heaven--meaning Cepheus-- on the Milky Way. 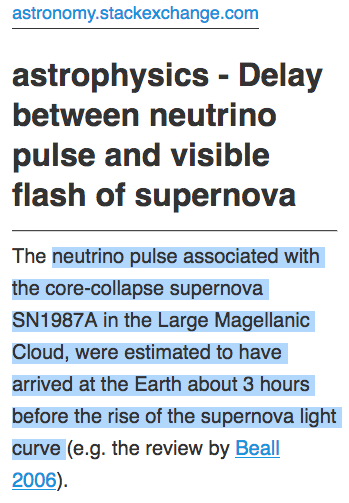 OK, I've explained how "Pearly Dewdrops' Drop" prophesied this particular supernova several times, so I'll refrain from doing again now. In light of the evidence, I don't think we can't rule out the possibility that SN1987A played some kind of role in the breaking of Reality, though I can't honestly say why at the moment. Nor will I ever be able to say why in all of my remaining moments on this earthworld, with its troubles and woes, however many the Lord permits me. 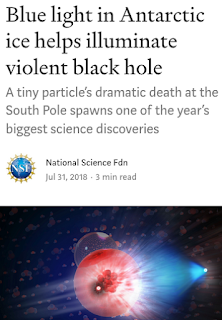 I just wouldn't be surprised if CERN helped it along. Just remember, greater is he that ruleth his own spirit, than taketh a city for inward rulership. It's the Mastery of the Masters. So, in the interests of scientific progress, what do you say we watch this educational video on how CERN broke Reality and gave us phenomena like the Mandela Effect (And, of course, the Fraser Effect). OK, so remember all those ridiculous theories that Jack Parsons and L. Ron Hubbard opened some dimensional portal by spouting Crowlean argle-bargle and jerking each other off for a week or so? Pour scorn on anyone who repeats them. Then understand that there are real people making real money for real organizations trying to open those very same portals. And if they haven't done so already, they probably will sometime in the future. What do they plan to use to do so? Hint: Not swords and hand lotion and Kleenex. 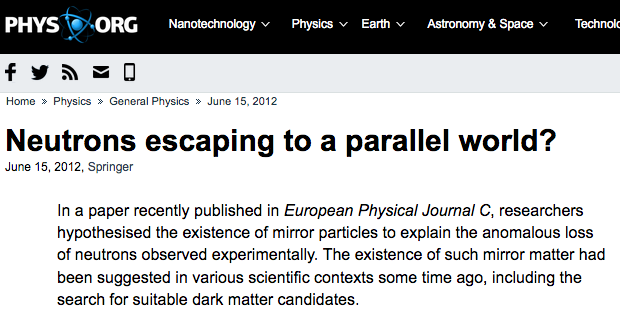 They plan to use--wait for it now-- subatomic particles. I don't understand it either, but I give them better odds than some silly OTO cosplayer. 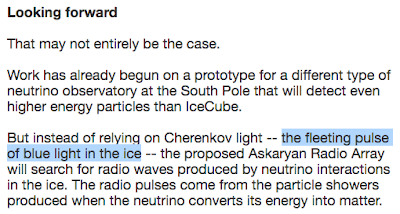 Now the neutrinos from the Ice Cube blazar are said to be much more powerful than the ones from SN1987A. But I don't know if I can say that for other supernovas that might be fixin' to blow in the future. And I don't know how or if people at colliders like CERN would plan to harness or exploit that energy. And I don't want to either. 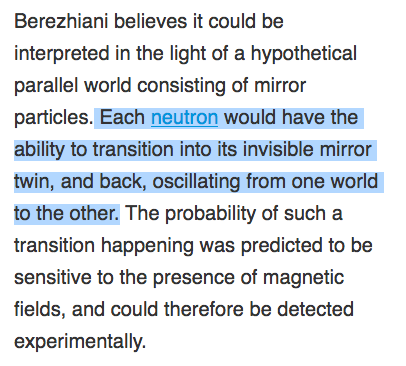 But perhaps all the neutrinos have been harvested from future novae and we're just phasing in and out of realities, like some quantum version of Maniac. It would fill in a lot of gaps as far as I'm concerned. NEUTRINOS AGAIN. IS THERE NOTHING THEY CAN'T DO? 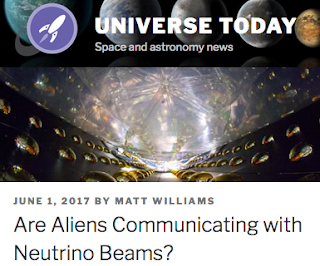 However, there are theories that alien civilizations might be sending us messages via neutrinos. If this is possible it certainly puts things like the utterly unnatural-looking SN1987A (and this new object in Taurus in a whole new light). How these neutrino beams might be received is a whole other question. Perhaps aliens figured out the human brain and structured these neutrinos in order they could be received and processed by adorable Scottish girls with weird eyes and angelic singing voices. Maybe back in the 1970s, which isn't even half an eyeblink in the timescales we're looking at. Just a theory, but a damn strong one, in my opinion. Reality is so broken anymore than any theory is on the table. Now, a lot of the Mandela Effect stuff that gets bandied about doesn't jibe with me. But seeing how several different timelines could be overlapping and colliding, it could be just I wasn't on that track. I'll go to my grave secure in the knowledge that Ed McMahon was a pitchman for Publisher's Clearinghouse Sweepstakes, though. That is a hill I am very willing to die upon. But I can say is that if their own scientific literature is to be believed, then I wouldn't be surprised if all these experiments with particles opened some door and let something weird in. Something we can't quite perceive. Or maybe those experiments broke Reality, and hence a semi-obscure New Wave singer from the 80s is revealed to be the modern-day incarnation of the Oracle at Delphi. It had to be somebody, right? Maybe we'll all wake up tomorrow and it will be you. Maybe people will eventually come to say, "if you don't like Reality here on Earth, just wait a minute." One thing I can say is what a lot of other people have said before me. Whether this is real or just a prank, I really can't say I feel comfortable with a bunch of fucknuggets like this dicking around with the very building blocks of Creation. (if you don't remember, the video for "Tishbite" seems to have quite a bit of runic symbolism embedded into it, as well as some rather troubling Frazy-Eyes).